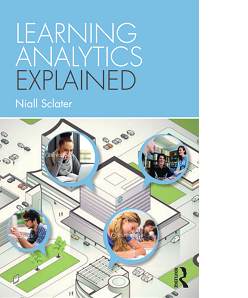 I’ve been immersed in this area for the past few years, initially in leading the Open University’s learning analytics project, and more recently assisting Jisc in its efforts to promote the development of learning analytics across UK higher and further education. In an attempt to understand the many aspects and potential benefits of this fascinating and rapidly evolving field, and to explain them to others, I’ve spent much of the last yearwriting a book about it. Niall Sclater is consultant and director of Sclater Digital, an educational technology consultancy. As Director of Learning and Teaching at the Open University, he led its institutional learning analytics project. More recently he has been helping universities to develop their capabilities in this area, and assisting Jisc with its Effective Learning Analytics project. He has recently written a book “Learning Analytics Explained”, to be published by Routledge early next year.